Gov. 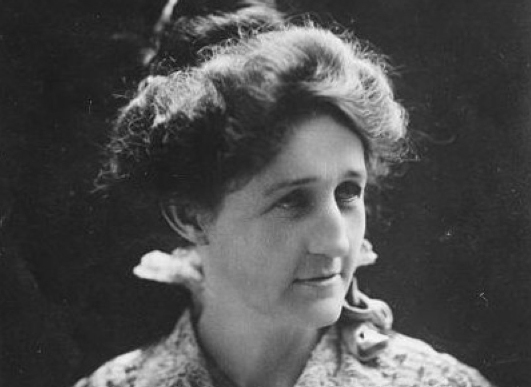 Miriam Amanda Wallace "Ma" Ferguson, above, and Percy Boyd at right. 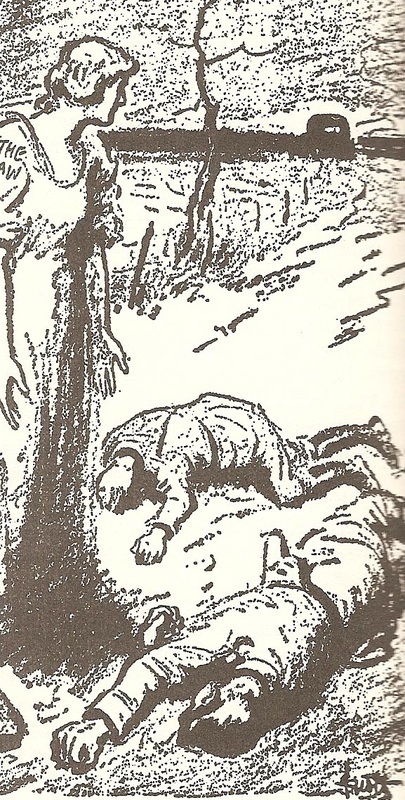 Perhaps it was the pictures of Murphy's intented bride standing at his casket in her wedding gown, or maybe it was just the general frustration with overall crime wave that was sweeping the Midwest, but the outcry against Barrow and Parker after the Grapveine shootings galvanized authorities into taking more concrete legal actions. Highway Patrol boss L.G. Phares immediately offered a $1,000 reward for "the dead bodies of the Grapevine slayers" — not their capture, just the bodies. Texas Gov. Mariam "Ma" Ferguson was also outraged, and she added another $500 reward for each of the two alleged killers, which meant for the first time there was a specific price on Parker's head, since she was so widely believed to have shot Murphy. 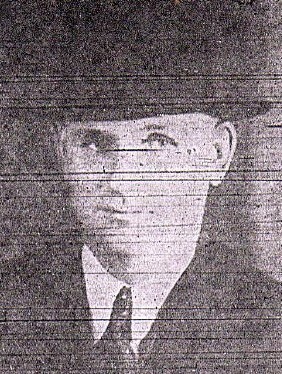 Public hostility increased almost to a fever pitch when, just five days later, Barrow and Methvin killed 60-year-old Constable William "Cal" Campbell, a widower and father, near Commerce, Okla. They then kidnapped a wounded Commerce Police Chief Percy Boyd, drove around with him before crossing the state line into Kansas where they let him out with a clean shirt, a few dollars and a request from Parker to tell the world she didn’t smoke cigars. Once freed, Boyd would identify both Barrow and Parker to authorities — he never learned the name of the sullen youth who was with them — and when an arrest warrant was issued for the Campbell murder, it specified "Clyde Barrow, Bonnie Parker and John Doe." Any chance that Parker might have had for clemency had just been eliminated. 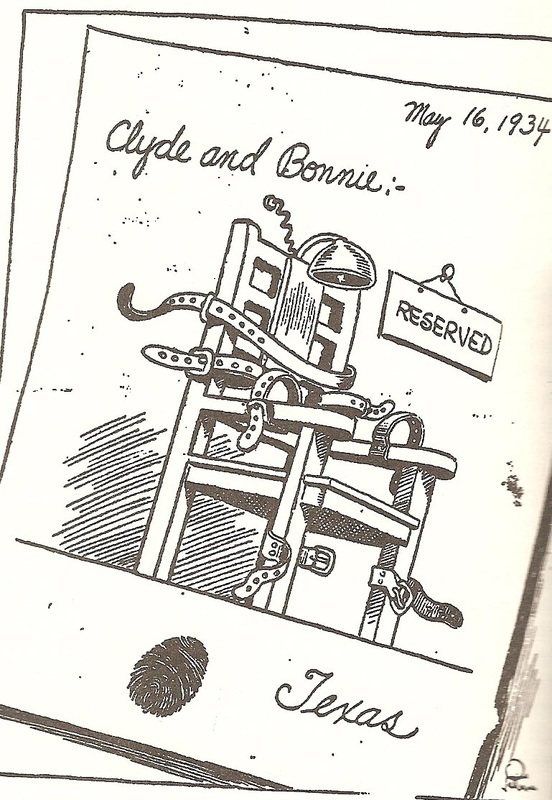 So much so, that the Dallas Journal ran a cartoon on its editorial page showing the Texas electric chair, empty, but with a sign hanging on it saying "Reserved — Clyde and Bonnie." 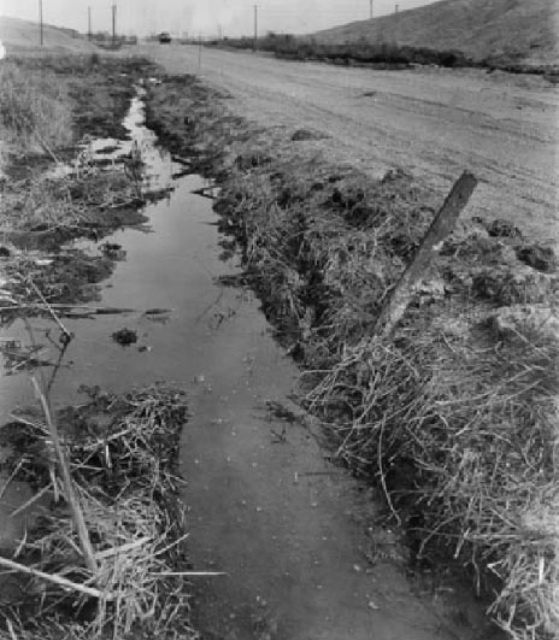 Barrow's car was stuck in this ditch on New State Road just west of Commerce when Boyd and Campbell approached to investigate. There was an exchange of gunfire and Campbell died from a single bullet through his heart. Boyd suffered a slight head wound and taken hostage. Political cartoons began appearing also daily after the Grapevine shootings. These two appeared in the Dallas papers.